SWF member C8 badges, give-aways & other "swag" items! A new year, and it's time to see the new swag for Celebration 8 in Orlando. Let's see those collectibles! Got my lanyard swag for C8 finalized. This is a 30b Palitoy Princess Leia cardback with bubble attached that I got last year and turned into a reseal. There is only 1 badge attachment on this one so I was able to make more, there will be a 100 of these in total. I also have a few Han Solo lanyards from CE3 left (without badges) which I will also have with me. 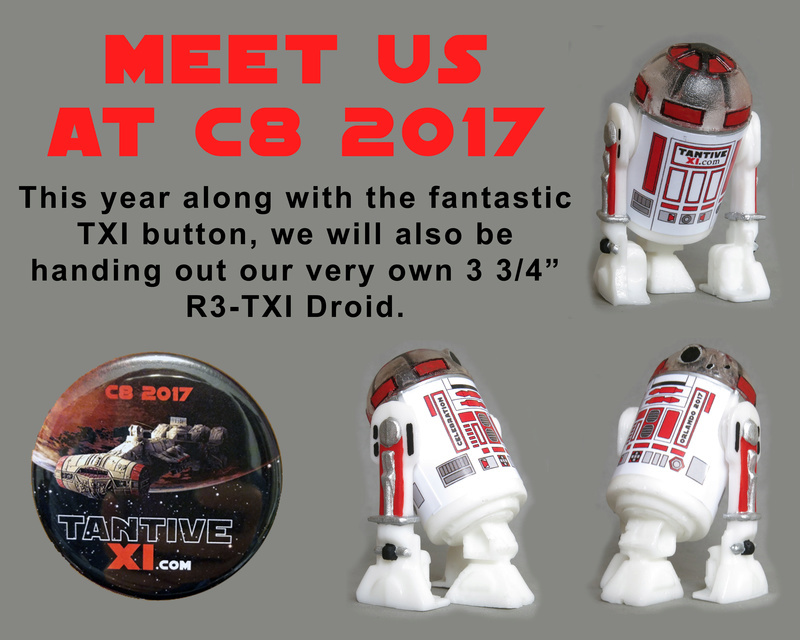 Re: SWF member C8 badges, give-aways & other "swag" items! I'm going to have 14 badges designs available for the 1st 12 figures (plus a Limited VC Jawa and small/big head Han). Choosing a 'metallic' finish to really show off the silver detail. Sweet looking set of badges there! Got my prototype lanyard and badge finished. Will have 100 of these at C8. Will also have a 100 badges for my Facebook group. Pin design done. Only cool kids will be getting this badge of honor. These look great lads, well done. I'm looking forward to meeting some of you, and trading for some of the great swag. Here is what the boys over at TXI will be handing out. Will definitely try and find you for some trading!